Garmin International are releasing a compact, rugged and fully spherical 360-degree camera. The VIRB 360 is designed to take on a variety of environments. It is also easy to use. Its features will ‘make even the most inexperienced users look like experts’ said Dan Bartel, Garmin vice president of global consumer sales. The VIRB 360 shoots up to 5.7k/30fps and incorporates 4K Spherical Stabilization to make every video smooth and steady. There is automatic in-camera stitching up to 4K/30fps. 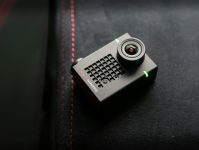 As well as video, the camera can shoot 360-degree, 15 megapixel spherical photos. Photo modes include single capture, burst shooting, time lapse and Travelapse. 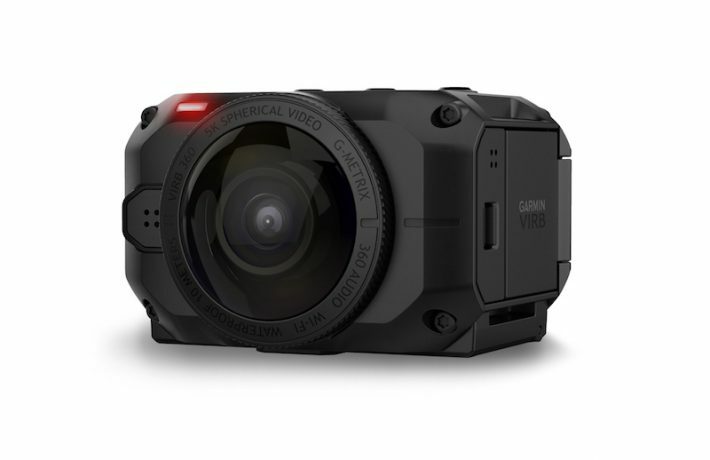 With built-in GPS, the VIRB 360 is able to provide a variety of G-Metrix data. This covers speed, g-force, pace, distance, RPM, altitude, bearing, orientation, elevation to name but a few. There is also other data that the VIRB 360 can monitor using optional external sensors. Currently, this includes heart rate, cadence, power output in watts, temperature, and automotive data. Nowadays, users want everything immediately. We share experiences whilst still in the middle of them so that’s what you need from a modern camera. 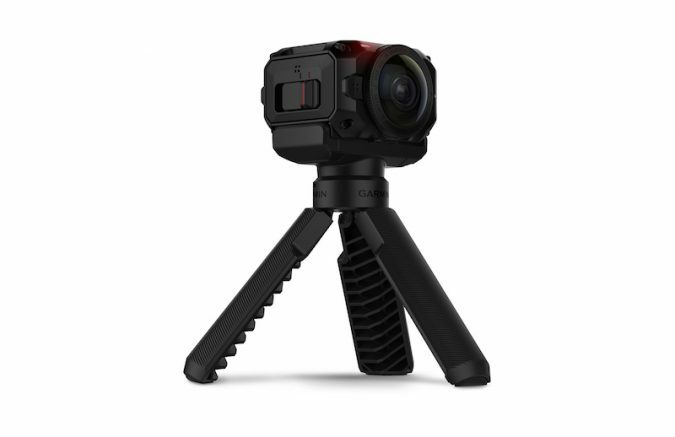 The VIRB 360 makes it really easy to share photos and videos. Whatever device you’re using, you should find a way to connect. 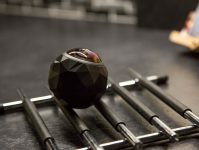 The VIRB 360 supports Wi-Fi, Bluetooth, ANT+, and NFC (one-tap connection with Android devices) connectivity. It features livestream capabilities to post to YouTube or Facebook Live with a compatible smartphone or tablet. You can download a free VIRB Mobile app and desktop software. You can use these to edit, stabilise, share and add data overlays to any video content. Videos can be uploaded for editing or sharing instantaneously, so no waiting around. Technology manufacturers have caught on that no one wants their new toy to come with an inch thick manual. 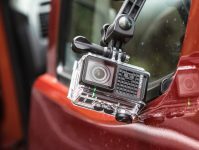 The VIRB 360 provides one-touch button controls. It also has voice control options to start or stop recordings and take photos. Undoubtedly these will be really helpful when you need to be hands-free, whether you are kayaking, skiing or mountain biking. Another useful feature is the sunlight-readable display, as the alternative is something of a bane of modern life. Possibly the greatest downside is the VIRB 360’s one hour battery life while recording so you will have to be picky about what moments you choose to capture. Aside from this, the device does have some great flexibility. It comes with its own tripod/handgrip and is compatible with Android and Apple products. Additionally, it has one particularly intriguing aspect – the virtual reality function. The VIRB 360 is compatible with industry-leading virtual reality headsets and offers live playback through the app. Garmin is the leading worldwide provider of portable navigation devices for automobiles, motorcycles and trucks. The company particularly promotes user-friendly navigation. 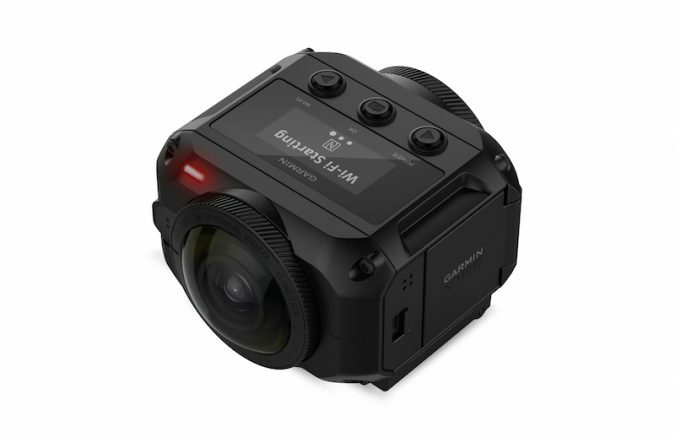 The Garmin VIRB 360 has an RRP of £649.99 and is expected to be available in June. For more information, visit the Garmin website.